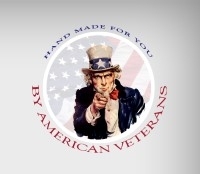 For those who have served in the military, medals, certificates and flag presentations can mean a great deal. 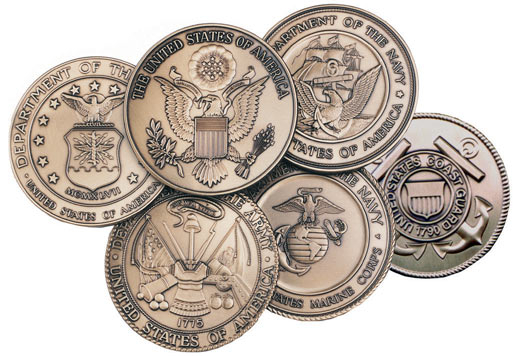 These are all honors given by the armed forces to those who have served with distinction. They mean so much because they come on behalf of a grateful nation. They come on behalf of a people who have appreciated what these service men and women have done for our country. If you, or someone you love, have medals, certificates and a flag to display, now you can do so proudly in the finest display case of its kind. The Capitol Presentation Flag Case with Display Shadow Box is expertly designed to display several items in a compact manner, allowing you to show your honors to loved ones and friends in a way that is elegant and stylish. The Flag display portion of the case fits a 3X5 United States flag in its triangular folded state. This size flag is the size that is flown over the Capitol, and holds great significance to those who receive it. Having it resting in its folded capacity to be seen by all who enter your home is something a veteran would surely be proud of. When a flag has flown over the Capitol and then given as an honor, the flag comes with a certificate. This display case comes with a shadow box feature that is perfect for displaying the certificate. It also has plenty of room for other medals to go on display as well. The military tradition of honoring service men and women with medals is a tradition that has its roots back to the Roman Empire and possibly beyond. In the United States, these honors are very important, and when those in the armed forces are given such special commendations, having a place to show them to the world is not necessarily the first thing that comes to mind. Often, these medals end up in a box in the back of a closet somewhere, and that’s a shame. Now, that doesn’t have to be the case. Our display cases are designed to highlight those medals and honors and give them a place of elegance in which to be displayed. 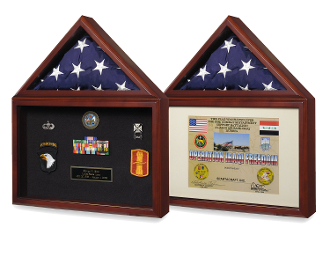 US Veterans, men and women who know what it means to be honored by our military forces craft this Capitol Presentation Flag Case with Display Shadow Box by hand. They create each display case with attention to every detail. Each case is available in Cherry, and has a real glass front with turn button closures on the back of both the flag case and the display section. You will love the way your display looks with this case. Your flag, its certificate and your medals will rest beautifully as everyone who comes to your home will see. Orders for the Capitol Flag Presentation Case with Display Shadow Box are usually shipped out within one business day to places within the USA and Canada.